Following their third day at IFFA Michael, Beau and Arthur have called in their top three finds. Rotary Forming Machine: My pick today is a rotary forming machine that promises reduced shear, better hygiene and less rejectable products. Exhibited by Provisur, the VerTex has been developed to improve the quality of retail-ready products and the manufacturing processes that makes them. The VerTex is a state of the art forming machine packed with significant improvements over traditional formers. 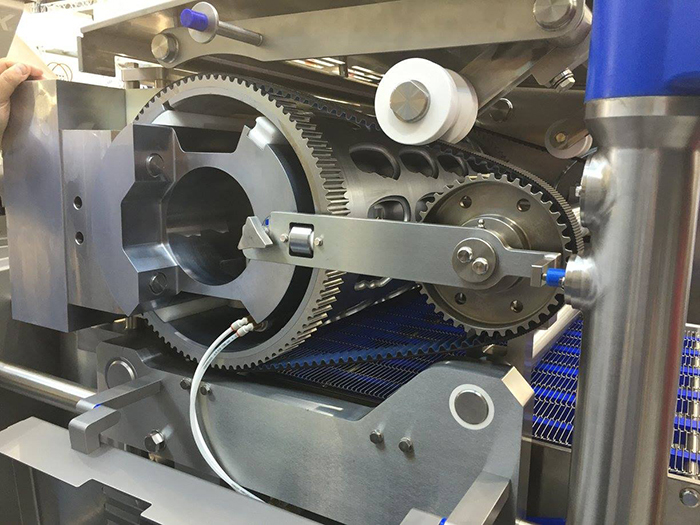 Improvements such as less moving parts, simplified servo controls and additional hygiene features that allow the VerTex to operate without the need for drum cleaning during a production shift. This means that production stoppages are reduced, fewer spares are required and no separate drum washing facility is needed. The VerTex can also facilitate high and low pressure forming as well as 3D forming. Technologies like the Vertex provide a wide range of benefits that retail ready manufacturers should focus on to be globally competitive into the future. 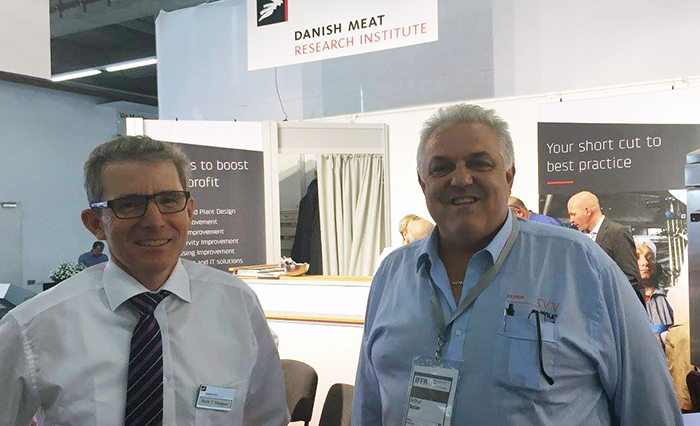 oday’s top find is less about a product, or a type of technology and instead about a relationship we with the Danish Meat Research Institute (DMRI). Arguably, there’s plenty that the rest of the world have to learn from the way Europeans work and vice versa. I met with a representative from DMRI and discussed how Wiley and the DMRI can work together to bring Europe’s best practices to our clients. The initial conversation led to some very interesting potential for the future, we discussed potential future works, the latest chilling technology, the uptake of automation in the industry and new innovations in carcass yield optimisation. Single Set Weigh Portions: I’ve noticed at IFFA there is a strong consumer trend in retail-ready product. This is motivating equipment suppliers to empower food producers with technology to meet this increasing consumer trend. In particular, advances in single set weigh portioning processes are noteworthy. The precision and accuracy of slicing, batching and packing operations is what I find astounding. 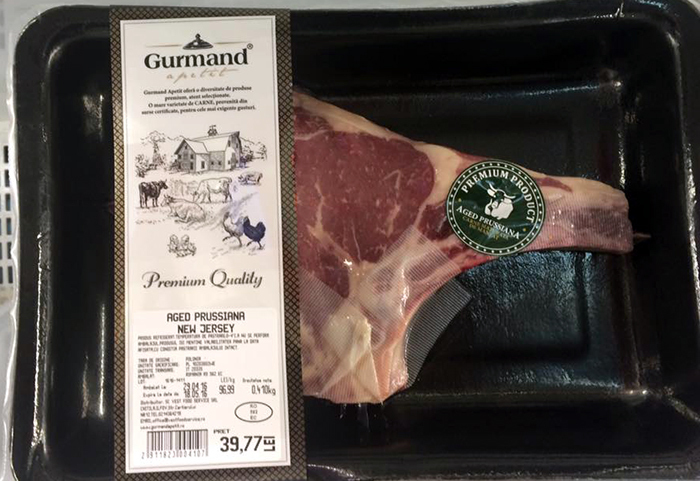 For example, a 100g steak can be cut to an accuracy of +/- 4g. Considering this accuracy requires the analysis of a primal cut for yield, density and abnormalities the result is remarkable. Stay tuned for more of the latest from IFFA, as Wiley continue to deliver daily content straight to you.